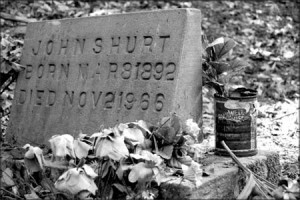 In April, 2010, I first got a chance to visit Mississippi John Hurt’s grave up in the hills at the eastern edge of the Mississippi Delta, in Avalon, Mississippi. 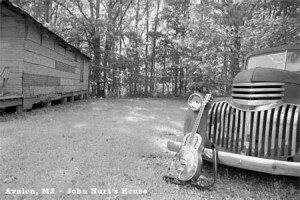 While I was in Greenwood, MS as part of the celebrations of the centennial of Robert Johnson’s birth (true to form: celebrated in the town where he was killed), I stumbled on a small group of new friends headed to the Mississippi John Hurt Museum, housed in the little shotgun shack that was John’s home for more than 30 years. Finding myself on his porch, with a small group of friends, I asked if anyone would mind if I played a couple of his songs there before that porch where he played for so many years, so long ago. It got personal really fast. I had recorded Pay Day on You Better Lie Down. The First Shot Missed Him; Avalon Blues; Let The Mermaids Flirt With Me; Got the Blues, Can’t Be Satisfied; Monday Morning Blues; Avalon Blues and Honey, Right Away are on my 2014 CD: The Last Shot Got Him. Here are a number of the things that John asked his right hand to play. This is a good technique orientation. If you are new to finger picking this style of music, you can spend some time with each of these patterns that float over the steady alternating bass/thumb notes. A little time spent here will pay you real dividends when you tackle a song, which will shift in and out of these patterns in one- or two-beat denominations. Like the rhythmic lexicon, this is a place to start developing the vocabulary of picking/right hand coordination patterns that are used in John’s music. 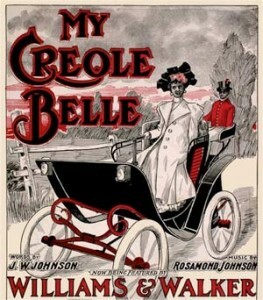 This is played in either DADDAD (or EBEEBE, where I play it) or in standard Open-D (DADF#AD) or Open-E (EBEG#BE). With the guitar in one of these open tunings, you can remove the distraction of the left hand entirely and concentrate on making your right hand fingers and thumb behave. Probably one of the earliest songs that a young guitarist would learn, employing melodic figures on the first two strings. A good place to start. This tune from the earliest years of the 20th Century is a simple tune in the key of C.
Another charming tune in the key of C.
In the key of E, this is the song that led Tom Hoskins to John Hurt’s front door back in 1963. Written as a sort of lament for his home while he was in NYC in 1928, the “Avalon, my home town” sent Hoskins to the map room at the Library of Congress, when contemporary maps failed to reveal where Avalon, MS was.You can find Avalon on the maps of Mississippi today. Mississippi John Hurt put it there.